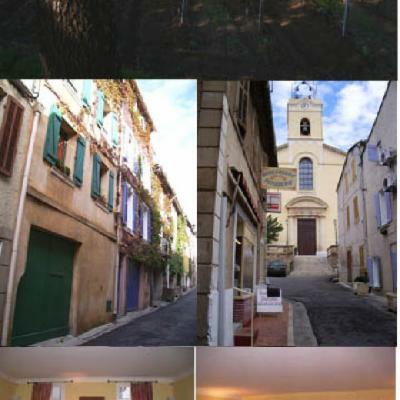 Very sophisticated house in village on 3 levels with the Bandol's wineyard contry (240 m2 + 2 garages), at 7 km from sea. Nice typical villages around (La Cadière, Le Castellet), 45mn from Aix and 30 mn from Marseille,7 hours driving from Paris (1h30 by plane). 3 bedrooms with private bathrooms. Typical provencal market on Friday (8h-14h) and on Sunday (8h-13h). Overview of Beausset's village from our terrasse next to the living room.